We’re making hot sauce again at Chili Pepper Madness, my friends. Shocked? Amazed? Haha! You already KNOW I’m a hot sauce making fanatic. 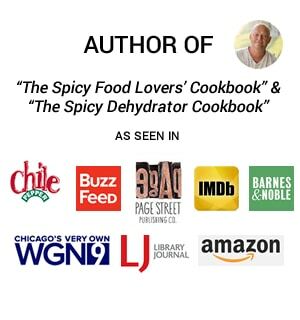 I love to make my own homemade hot sauces, and do so frequently, and of course you can check them out here – Hot Sauce Recipes. 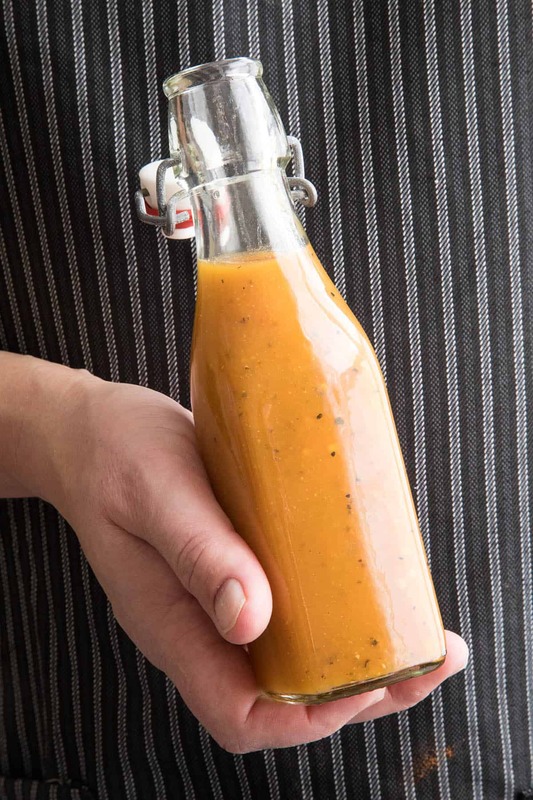 This particular hot sauce recipe is a fermented version, and DANG is it good. It is nice and sweet and it has that awesome FIERY kick from the Scotch Bonnet peppers that we all crave. 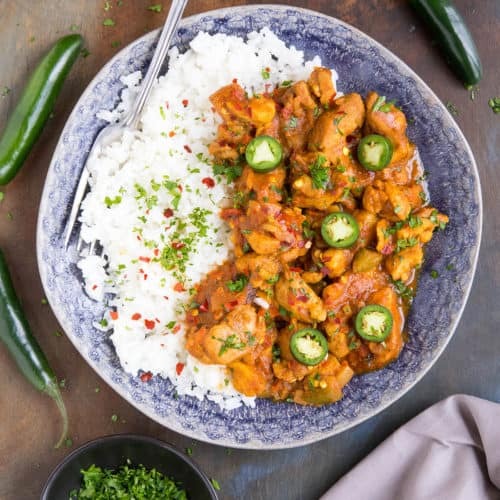 Scotch Bonnet peppers have an inherent fruitiness that is complemented by the peaches, making this a truly killer combination. It’s a heck of a hot sauce, I’ll tell you that! As I mentioned, this is a fermented hot sauce, which you’ll find in the cooking directions below. 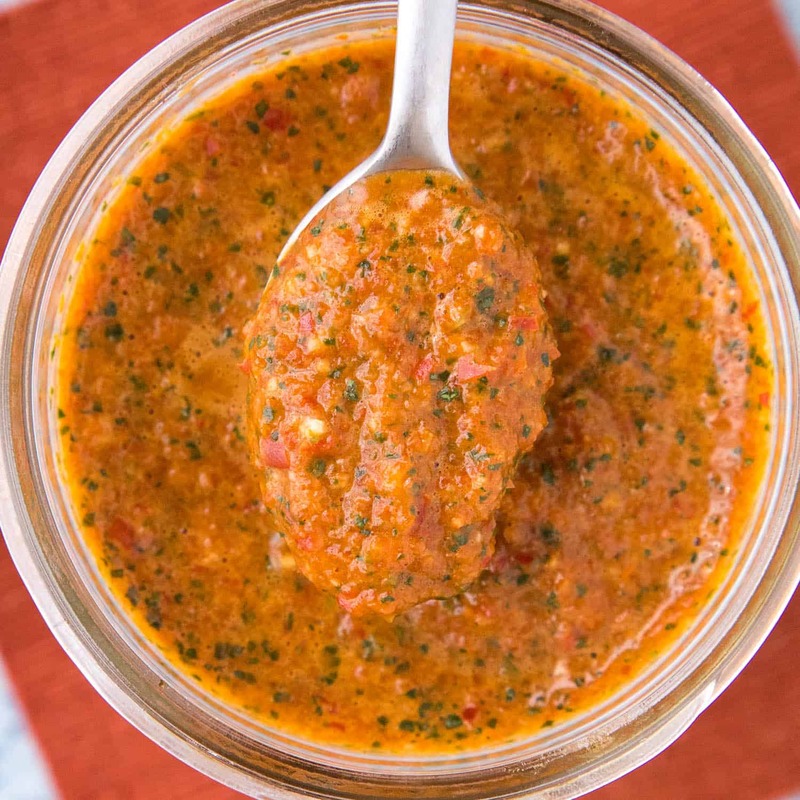 SEE: How to Make Fermented Pepper Mash. However, you CAN make this without fermenting if you wish. Just skip the fermenting parts of the recipe and make it per the rest of the directions. It is still very good this way, though the fermenting mellows it out nicely and combines the flavors in a way that you won’t quite get with the fresh version. But I like them both! I did a 10-week ferment with this recipe. You can go shorter or longer to your own preference. When I finished the mash, the flavors were just slightly bitter, though the added ingredients really balances out the overall flavor. I measured this sauce before and after adding the vinegar. The mash itself measured 3.5 after 10 weeks, which would be low enough for home storage. The vinegar brought it down to 3.0. 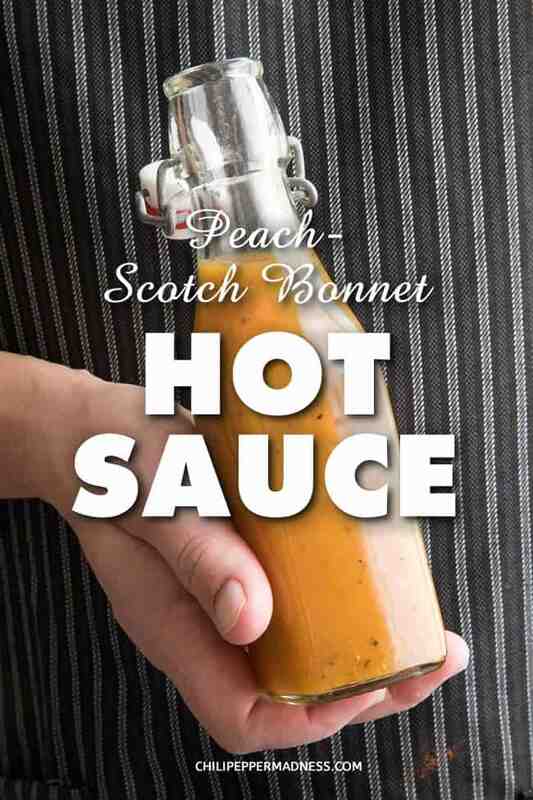 Aside from drizzling it over anything you please, here’s a post I did about How to Cook with Hot Sauce. As if you need even MORE reasons to eat hot sauce. LOL. I hope you find it helpful! Check out more Hot Sauce Recipes. 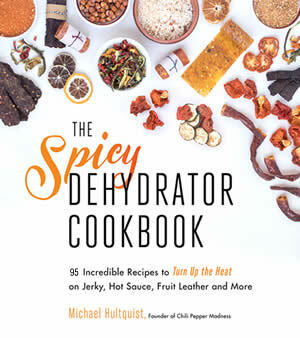 Also – Learn How to Ferment Chili Peppers Here. 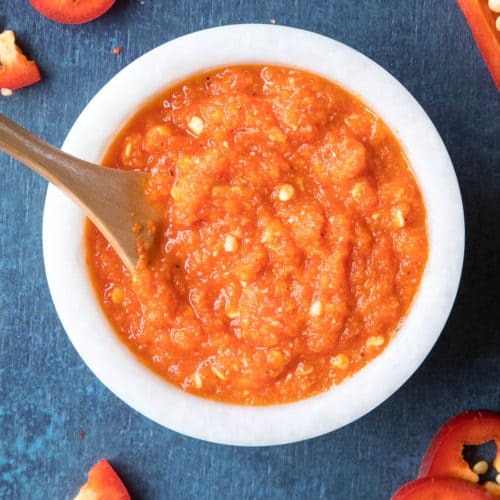 To make a non-fermented version of this hot sauce recipe, just skip the brine process and start with fresh ingredients. Add everything to a pot but add only a half cup of water or so. Simmer the ingredients to break them down, then process it. Add a bit more water until you reach the consistency you’d prefer. Or, reverse the order and process the ingredients first with water to your consistency preference, then simmer the processed sauce. 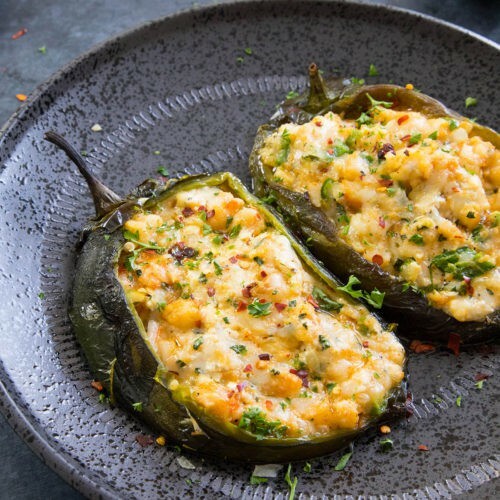 If you try this recipe, please let us know! Leave a comment, rate it and tag a photo #ChiliPepperMadness on Instagram so we can take a look. I always love to see all of your spicy inspirations. First, roughly chop the peppers, tomato, peach and garlic. Pack them into a large jar, leaving at least 1 inch of head space. The mixture may rise a bit when fermenting. Next, mix 1 quart unchlorinated water with 3 tablespoons sea salt. Pour just enough brine over the mixture to cover it, pressing them down a bit as you go. It is important to keep the mixture covered with brine to avoid spoilage. Check this daily. Screw on the lid and set the jar away from direct sunlight to ferment for at least 1 week. I fermented for 10 weeks. Ideal temperatures are between 55-75 degrees F. The most active fermentation period is between 1-2 weeks, so be sure to monitor it during this time. “Burp” the jars often by unscrewing the lid a bit to let out some of the accumulating gases. Or, use an airlock or membrane for easier fermenting. See our page, “How to Make Fermented Pepper Mash”, for further instruction. After 1-2 weeks, the fermenting activity will diminish and the brine will turn cloudy and taste acidic. When satisfied with your fermenting time, pour the contents, including brine, into a pot along with the remaining ingredients. Bring to a quick boil. Reduce heat and simmer for 15 minutes. Cool, then process with a food processor until nice and smooth. Pour into sterilized jars and seal. Refrigerate and enjoy. Tastes even better if you leave it mingle a week or longer. Good afternoon Mike. Decided to give this recipe a try from the Scotch Bonnets I grew this year. I started the mash ferment 12 weeks ago and made the hot sauce this morning. Another fantastic hot sauce. Hot enough to leave a noticeable and several minute lasting tingle, but otherwise, not overwhelming. 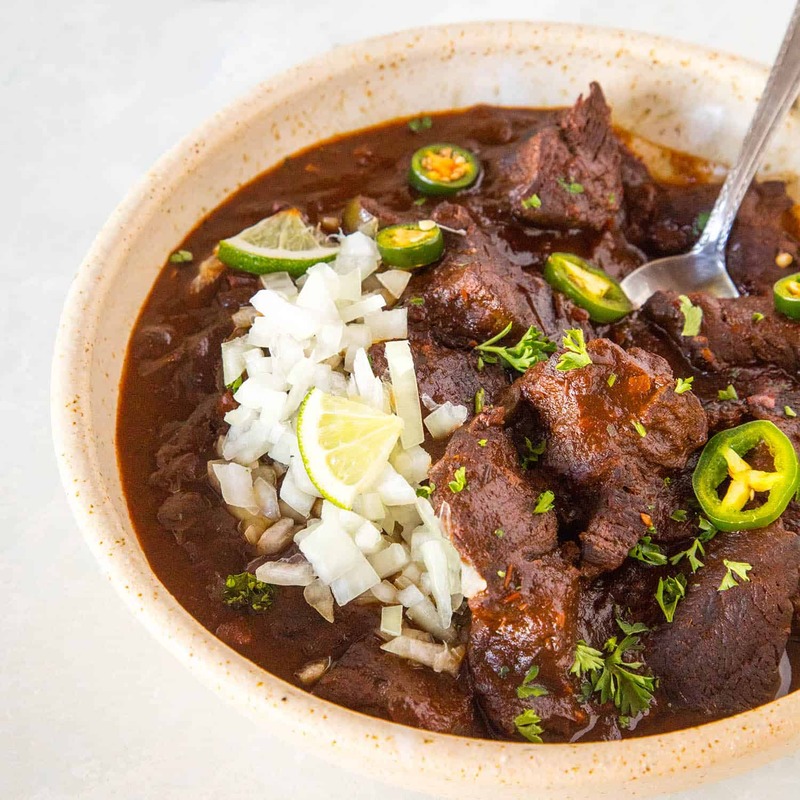 Excellent flavor – I’ll let the hot sauce sit for a week or so to really bring out the flavors. 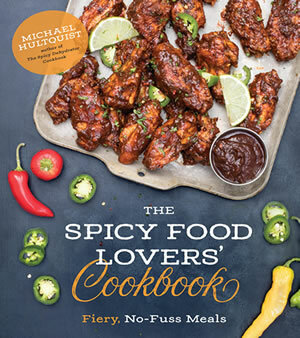 This will make nice Christmas gifts for my hot sauce friends. Thanks for another winner. That’s great, Brett. I appreciate your letting me know. It will definitely continue to develop flavor in the extra week. Super happy you enjoyed it. Take care. Do you need to boil or can you just blend and bottle? Daniel, you can just blend and bottle it. I like to keep mine in the refrigerator, though, for longer keeping. Hi Michael, writing to you from Peachland BC Canada. I made your sauce the other day and its great! I fermented only 1 week. I used 6 of what I *think* are either Madame Jeanette or another similar ~2″ upright growing yellow pepper which I am growing here at the house. I tasted this sauce more than 5 minutes ago and the part of my tongue that it touched is still frickin hot. Tropical notes to this one. The peach came from a local grower, its that time of year. I note that my sauce is a lot darker than yours. The tomato is also fresh from local sources, maybe that’s the difference? Don’t know, my yield was 2+ cups so the amount was close to your recipe. Anyway thumbs up to you and your website. Thanks, Debra. Glad you liked it. I think you’ll get some variation in color depending on the colors of the peppers, tomatoes, and even the peaches. I grow a lot of yellow tomatoes, like Kellog’s Breakfast tomatoes, and those affect the color of my sauces for sure. Thanks for stopping by! What form of cardamom are you using? Pods, seeds or ground? Similar green or black? Dan, I used ground green cardamom. Feel free to roast and grind your own seeds for a fresher flavor. Can I use tinned peaches instead? Andy, absolutely. Let me know how it turns out for you. I followed the recipe and the hot sauce is wonderful! I used habaneros from my garden and fermented for almost three weeks. I did battle the top fermenting yeast but I won. Next batch will get less of the cardamom as it was a bit strong. 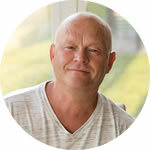 I now have three more of your recipes fermenting and I look forward to tasting them. Thanks, Robert. I appreciate it. 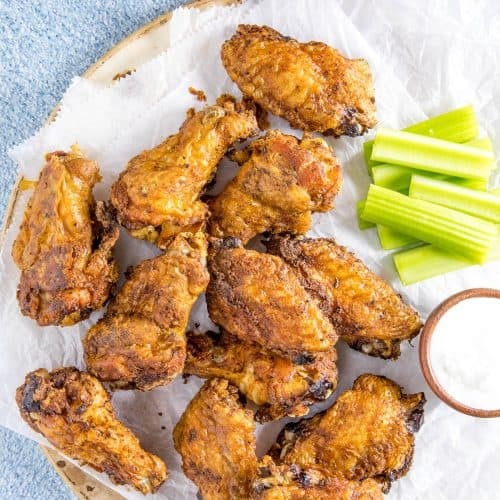 If you were doing the non-fermented version of this recipe would you still include a brine mixture (1 quart water + 3tbsp of sea salt) or would you exclude it? Good question, Josh. To make a non-fermented version, I would skip the brine, as the recipe already includes salt, but add about half the amount of water. Simmer it, then process it. Add a bit more water until you reach the consistency you’d prefer. Or, reverse the order and process the ingredients first with water to your consistency preference, then simmer the processed sauce. I hope this helps. Quick question. Is there a specific reason that you don’t blend the mixture first, and then boil? John, realistically, you CAN reverse the order. With this recipe, there are a lot of ingredients, so I found it easier to blend first. The main thing is blending to your preference, so you can do before, after, or both. An excellent suggestion, George! I love it.